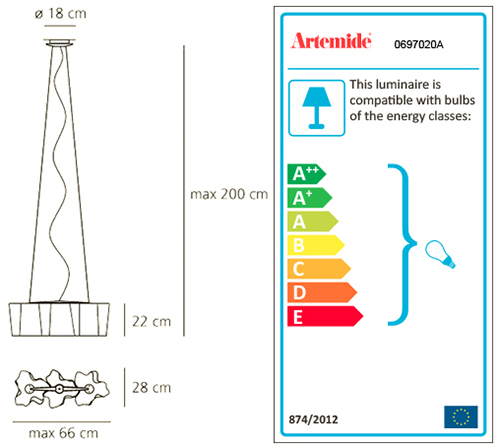 ARTEMIDE LOGICO MINI SUSPENSION 3 IN LINEA is a lamp. Its modular shape lends itself to the creation and realisation of customized compositions, supplied as special project. Logico nano track is available with track adapter. Bulb not included, 3x77W Halo o 3x10W LED DIM (E27). Dimmerabile.